For the most part, I’m very happy to follow chapter 9 ‘Between Rome and Jerusalem: The Date Palm as a Jewish Symbol’ in Steven Fine’s 2005 book, Art and Judaism in the Greco Roman World. It’s a broad and nuanced survey, but in the end concludes that the primary reason for the equation of Judaea with the Date Palm is because it was the most readily identifiable and desirable regional export, and could, on top of that, be given a symbolic meaning that did not offend the Jewish prohibitions against graven images. However, two key pieces of early evidence aren’t illustrated by Fine, only discussed. Hence, I thought I might put them up for the curious here. [I do love connections between seals and coins!] 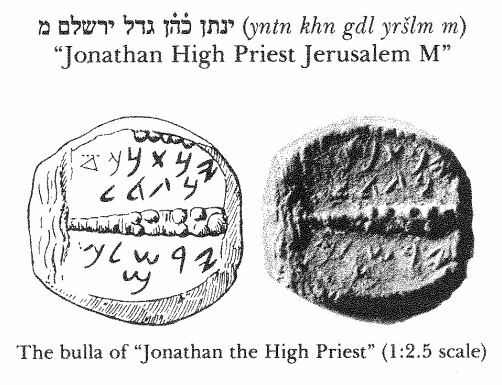 These images are taken from ‘Two Bullae of Jonathan, King and High Priest’, p. 257-259 of Ancient Jerusalem Revealed (1994). This summarizes and expands two previous publications. 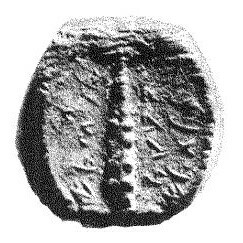 Based on comparison with the legends of the coins of the Hasmonean kings, Avigad concludes that these two bullae are imprints of the seals of Alexander Jannaeus (103-76 BCE). 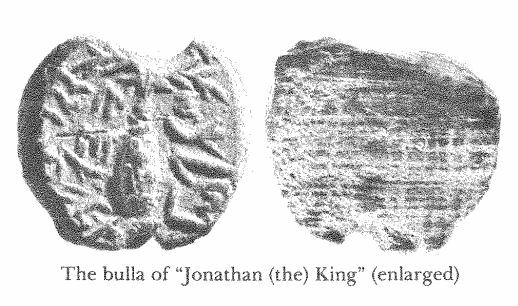 Note that originally in the first of the 1974 publications Avigard identified the High Priest Bulla as displaying a club; his opinion was revised on the discovery of the second bulla and the new identification as a palm tree was first made in his second 1974 article. A gem with a palm tree.